Designer Ideas: Atlanta designer Gretchen Edwards used subtle colors to transform her 1970s-built colonial into an elegant, timeless space. Here’s her advice on how to tackle hues. 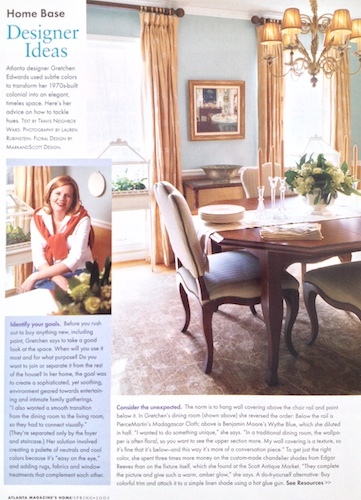 Published in Atlanta Magazine’s HOME.